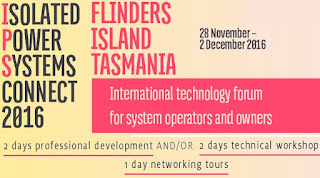 This ISP forum will take place from November 28 to December 2nd 2016, on Flinders Island in Australia. 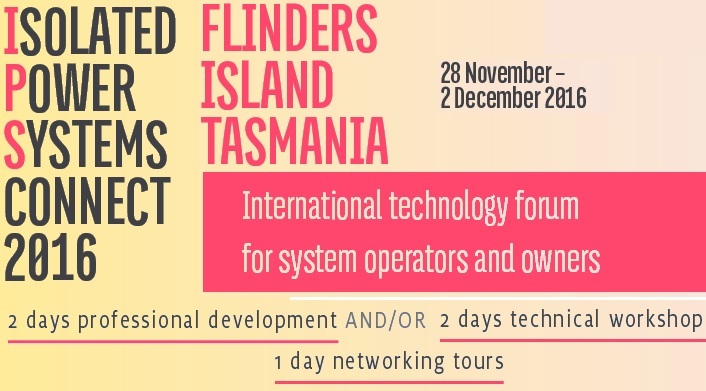 This 5 day Isolated Power Systems Connect technical event is organized by Hydro Tasmania and The University of Tasmania. IRENA will facilitate a session on ‘Planning the operation of grids in small island developing states’ and sponsor the participation of five engineers from power utilities of Member Countries from the Pacific Islands. Click here to see the full event description and agenda (PDF).